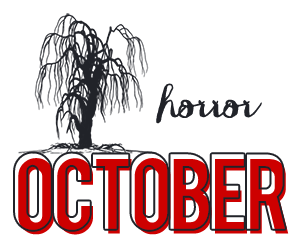 A fortnight of Horror October begins today! For the next two weeks, Asti and Leanne of Oh, the Books! and all the participants will be blogging about horror-related topics. Leanne hosted the event last year and it was all sorts of spooky fun. What has changed since the last time the event took place? I am still not into horror but so excited to celebrate it because apart from ghosts, apparitions and weird scary noises, I’m all for it. Okay, I’m mostly for it. It’s just that I can’t handle watching a horror movie or TV show. I tried to, as a kid, and I still get creeped out if I start thinking about some of the stuff that I watched (which isn’t even that horrifying and mostly embarrassing). What’s the most Halloweeny thing about me? Well, the fact that I went from Sana to Sanatorium on Twitter for it. Ha. Nevertheless, as soon as fall arrives all I want to do is curl up in a blanket with tea and just read really disturbing books. Let’s face it. I haven’t read a purely young adult horror book since the last R. L. Stine book I read as a teenager. I just keep thinking that I will get around to at least one but I never do and it’s sad. So it’s mostly the subgenres that I end up reading like psychological horror or paranormal horror. So in regards to that, I started reading The Young Elites by Marie Lu which is pretty disturbing and dark. 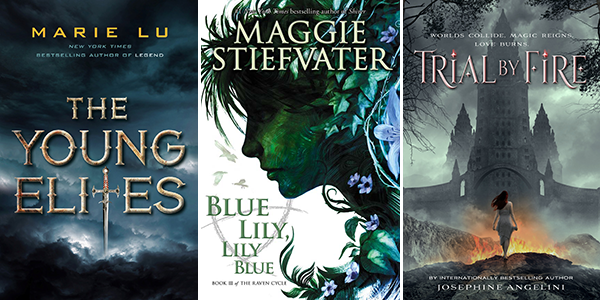 After that, I plan to read Blue Lily, Lily Blue by Maggie Stiefvater which isn’t horror but it has dark elements and fist-slamming Ronan, so there. I also might read Trial by Fire by Josephine Angelini because witches. Last year, I could only manage a couple of posts on Horror October and let’s not just get into that more than this. However, since I already talked about horror in YA back then, I would be focusing more on its subgenres this year. A post about books that give you the creeps, another about authors who write YA horror, yet another on how the trend of island settings in YA have changed over time and maybe a couple of book reviews. And oh, a discussion about the subgenres of YA horror seeing how they are vastly more popular than the genre itself. Do you tend to read creepy, spooky or horror books in fall? Read a good horror YA lately? Let me know! YES YES YES! I'm living Halloween vicariously through you, ok? I'm so glad that you're eating up The Young Elites! Arrrghh it was just so good! And Blue Lily. I can't even contain my excitement right now. It's too much for me. Trial by Fire was meh for me but I'm curious about what you'll think of it! I didn't think I'd have time for a Halloween read but I've just started Unspoken (Lynburn thing series wow, super eloquent) and it's quite gothic which is a nice touch! HAPPY HALLOOOOWWEEEEEN! Woohoo! Glad you're joining us in the fun Sana! I actually think it's quite funny because like 80% of the people who have signed up for the event can't really stand horror. We're all too sensitive (myself included)!